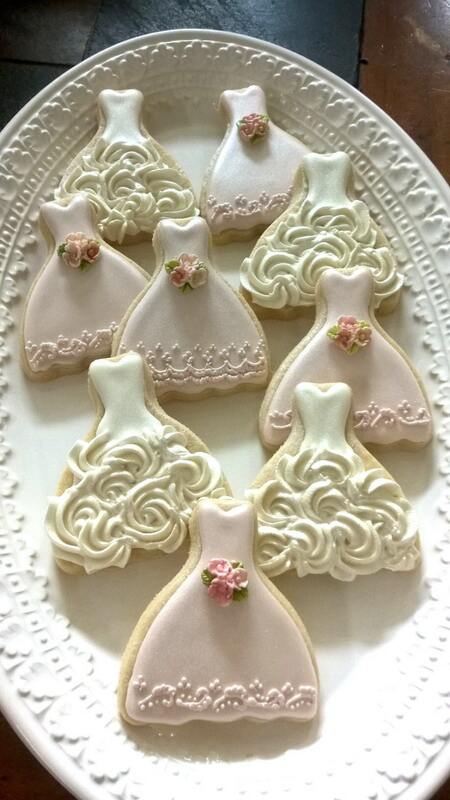 One dozen petite sized wedding gown cookies with painted gumpaste flower bouquet. This set will include 6 gowns with rosette icing detail on the skirt and 6 gowns with intricately detailed lace skirt. Options include single or multi-color. Ribbons may be added for an additional charge of $6.00 per dozen. Each cookie is approximately 2.75 x 3 inches in size. They are iced with royal icing and finished with shimmery white satin confectionery luster dust. They will be individually wrapped in clear cellophane. Absolutely beautiful cookies with wonderful taste and perfect shipping! Very pleased! These fabulous cookies arrived in the time specified and in perfect condition - well packed! 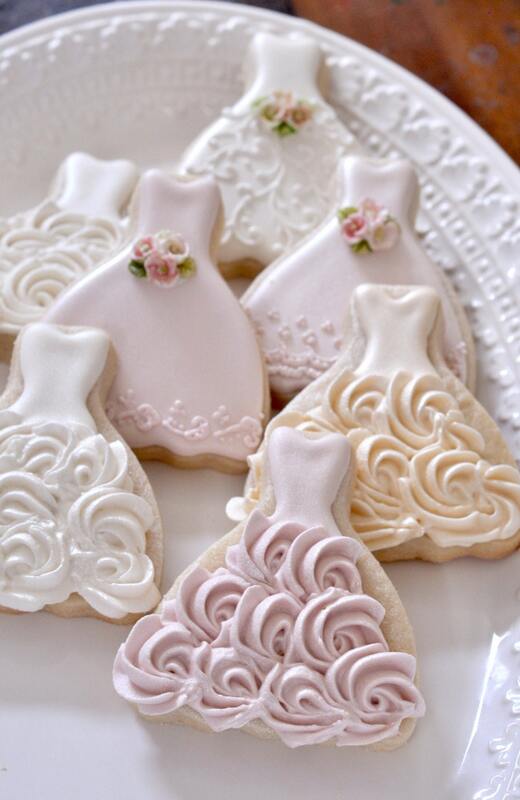 The handiwork needed to design these beautiful cookies is exceptional. The detail in the dresses is awe inspiring and sooooo beautiful! Thank you for being so talented. 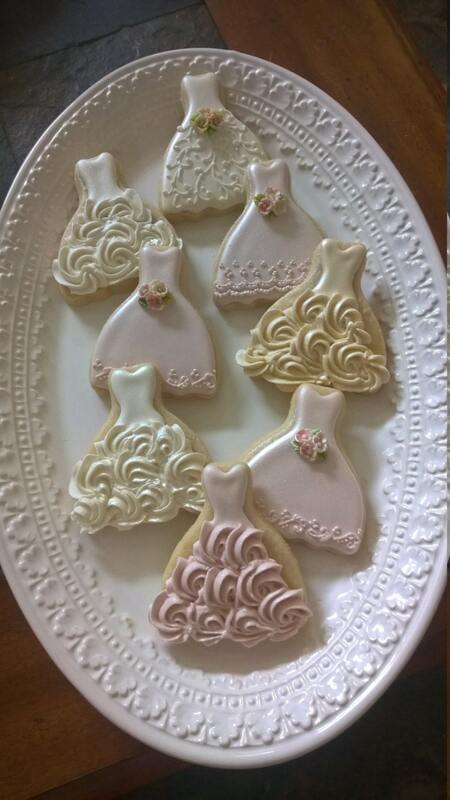 These cookies took centre stage at the bridal shower - all individually wrapped and made such unique take home gifts for the thank you bags. You will not be disappointed! 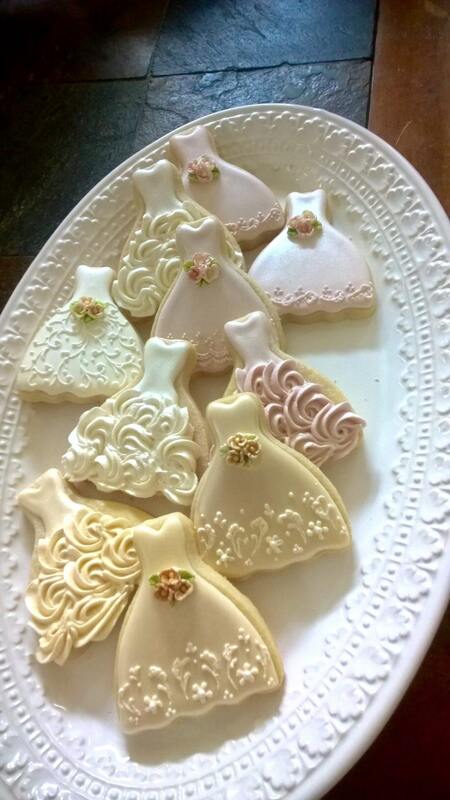 The cookies were a hit at the bridal shower! 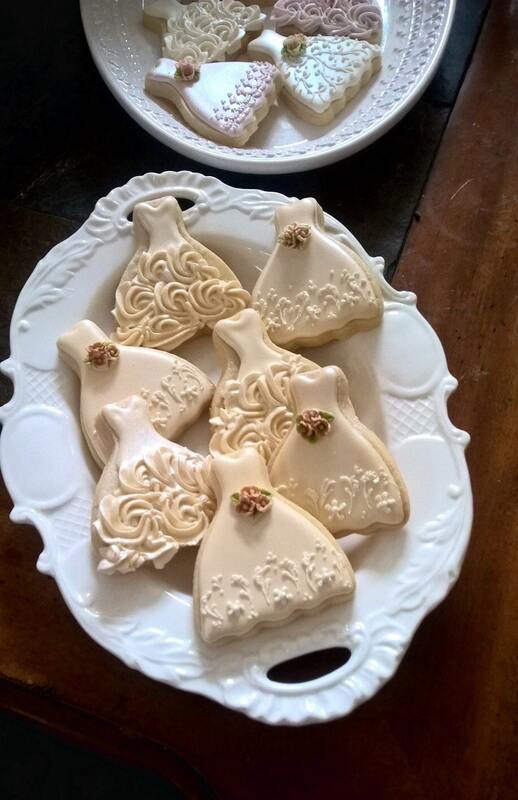 I also ordered the Ecru and White Wedding Dress Entourage cookies from this Etsy shop. They were all so beautiful and were received on time. The shop owner was accommodating to my event date and prompt in replying to messages. Thank you so much! The cookies were perfect! Just as pictured and yummy too! They came on time and they were well packed so they didn't break. Thank you, thank you! 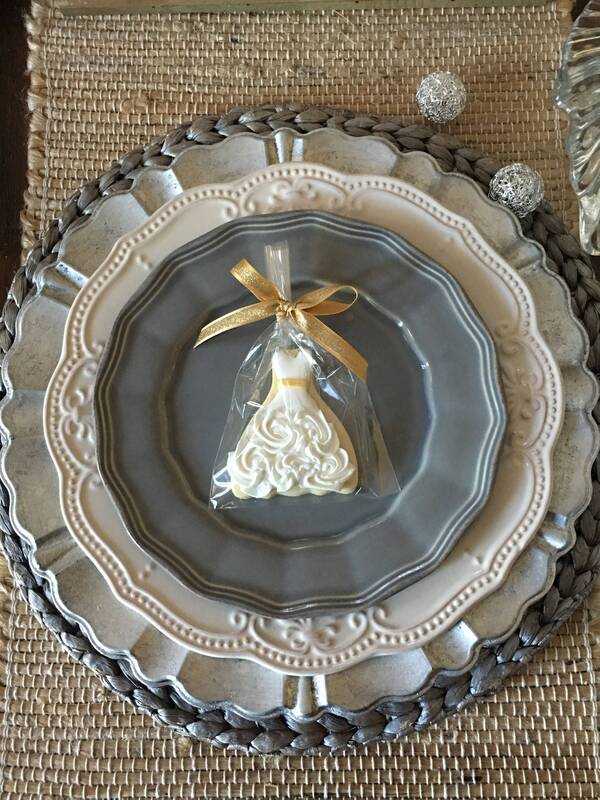 It was the perfect touch to our bridal shower!